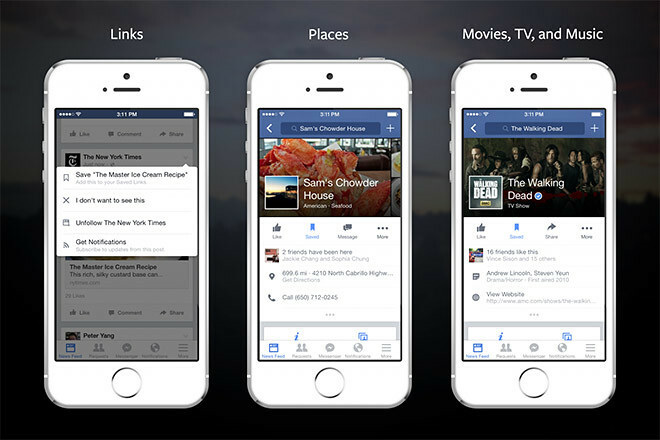 Been wanting to save links or restaurant locations your friends shared before this to be accessed in a later time? Now you can! 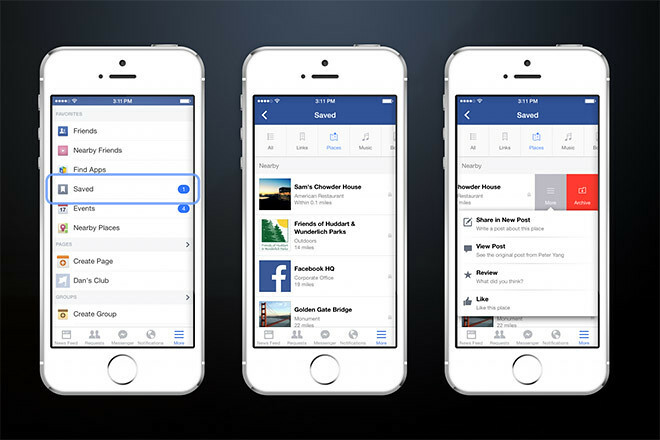 Facebook has just announced a new ‘save’ feature that is accessible by tapping the top right arrow button on each post shared by your friends. You can view the items you saved at any time by going to your saved items in the “More” tab on mobile or by clicking the link on the left hand side of Facebook on the web. Your saved items list is organized by category and you can swipe right on each item to share it with your friends or move it into your archive list. You can save links, places, movies, TV and music for later use. Saved items are private unless you choose to share them. Facebook will also remind you on the things you saved by showing you the item in your newsfeed.